I’ve been loving cupcake liner crafts lately. It is always so much fun to take everyday things and turn them into crafts. 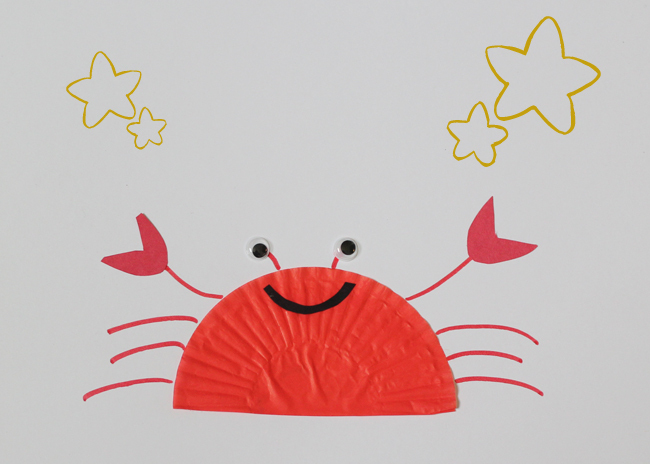 Today I’m sharing a red crab craft but we also made our favorite Ninjago characters. So fun! It’s so easy to make! 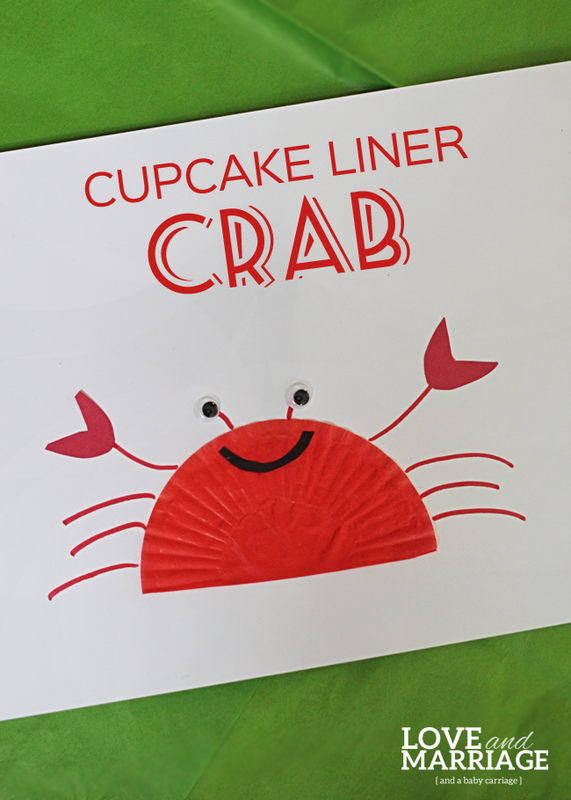 All you need to do is have your little one fold a cupcake liner in half – we overlapped just a bit – and glue it together, then onto paper. Then you can draw small lines on top wit a red marker and attach googley eyes with glue. We drew legs with a red marker and cut out pinchers from red construction paper. Then cut out a little smiley mouth out of black construction paper. What a cute little crab!